Instead of supermarket rotisserie chicken, make this savory roast chicken at home. 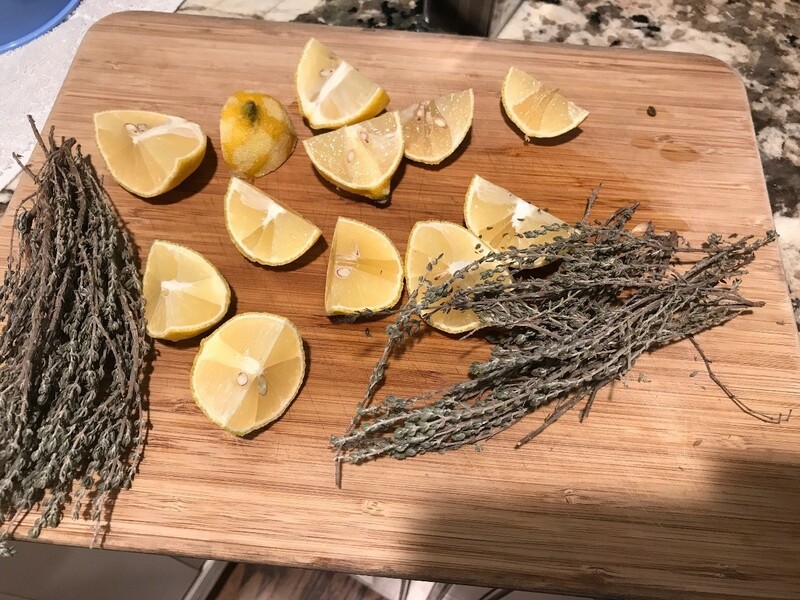 This guide is about making lemon and thyme roasted chicken. Minimal effort is needed for this tasty roasted chicken. 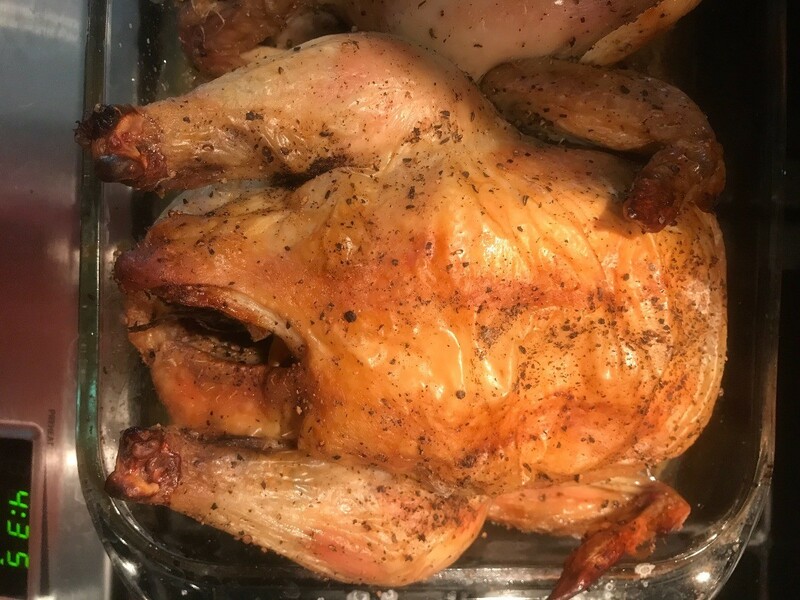 We actually roasted two chickens, so if you were to roast just one, it'd be just one lemon or you can use two (for more flavor if you'd like). This is a simple and healthy meal to make. It is perfect for small parties as well. Wash your chicken throughly with cold water. 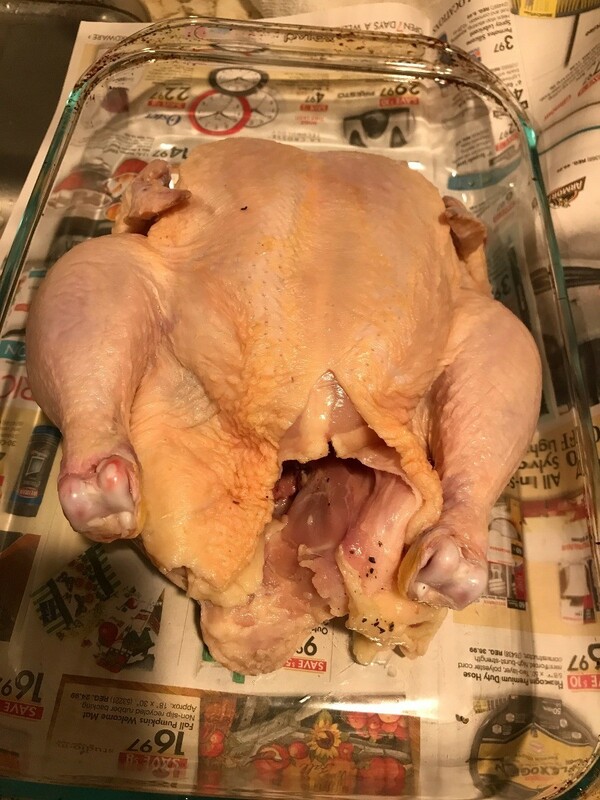 Pat chicken completely dry with paper towels and set chickens in glass baking dish. Dash of salt and pepper all around the chicken. Cut lemon in quarters. Stuff the inside of chicken cavity with lemon wedges and thyme. 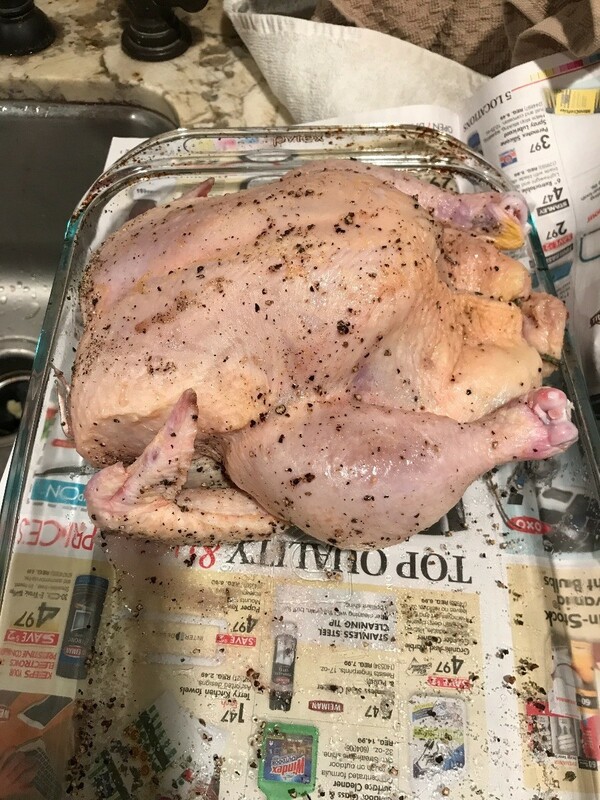 We actually roasted two chicken at once in a pan. Roast at 450°F for about 45 minutes or until internal thermometer for chicken reads 165°F.